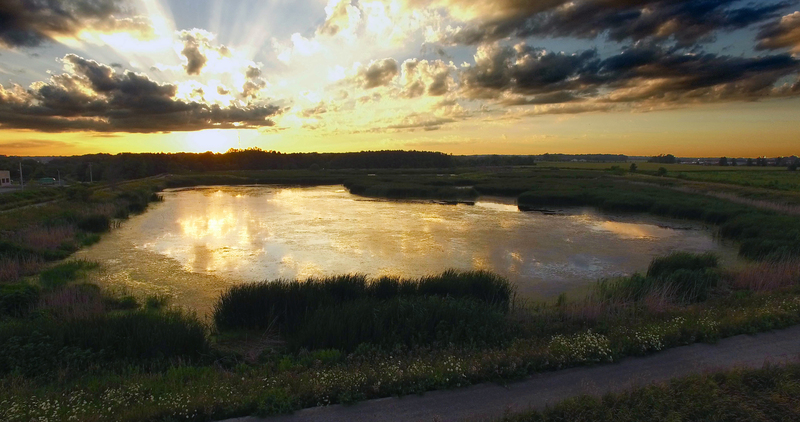 Created in 1970, the Port Rowan Sewage Lagoons provided a natural method of treating, storing and disposing of wastewater from the village of Port Rowan. Following the commissioning of the mechanical treatment facility in 2012, the 60 acre site provided a unique and exciting opportunity to benefit both the cultural and natural communities within Norfolk County. 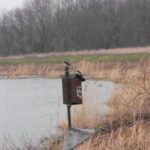 This innovative project included the creation of a functioning wetland with riparian buffer corridors leading to Lake Erie providing habit for and encouraging wildlife growth and movement. Additionally, the site features several small ponds, vernal pools and naturalized grassland areas all emphasizing and improving the natural features and context of the site. This project was the first-of-its-kind on a provincial scale and brought together many local community as well as provincial groups for one common cause. Featured on site is refuge for birds, snakes, turtles and various other forms of wildlife. 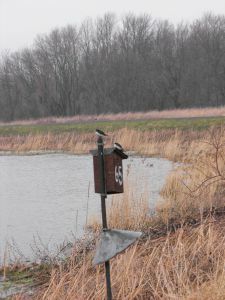 A trail follows the perimeter of the wetlands for those seeking active recreation and also provides numerous lookouts for enjoying the views and observing the wildlife. Additionally, education is emphasized with signage around the wetlands discussing species at risk, wildlife habitat and the flexibly of the Drainage Act. The Port Rowan Lagoons is situated conveniently only minutes from the main street of Port Rowan and provides on-site parking and has been designed with both accessibility and safety in mind. The completion of this project created a sense of community pride and brought new life to the former lagoon lands.